The mechanism behind this is not completely understood. 80% of alcohol passes through the liver to be detoxified. Chronic consumption of alcohol results in the secretion of pro-inflammatory cytokines (TNF-alpha, Interleukin 6 and Interleukin 8 ), oxidative stress, lipid peroxidation, and acetaldehyde toxicity. These factors cause inflammation, apoptosis and eventually fibrosis of liver cells. Why this occurs in only a few individuals is still unclear. Additionally, the liver has tremendous capacity to regenerate and even when 75% of hepatocytes are dead, it continues to function as normal. While moderate alcohol consumption can be beneficial, studies over the years have shown that excessive alcohol intake can lead to liver damage through its direct action as a hepatotoxin. High alcohol consumption over a prolonged period also increases the risk of other liver diseases like chronic viral hepatitis and non-alcoholic fatty liver disease. Women are twice as susceptible to alcohol-related liver disease, and may develop alcoholic liver disease with shorter durations and doses of chronic consumption. The lesser amount of alcohol dehydrogenase secreted in the gut, higher proportion of body fat in women, and changes in fat absorption due to the menstrual cycle may explain this phenomenon. Genetic factors predispose both to alcoholism and to alcoholic liver disease. Both monozygotic twins are more likely to be alcoholics and to develop liver cirrhosis than both dizygotic twins. Polymorphisms in the enzymes involved in the metabolism of alcohol, such as ADH, ALDH, CYP4502E1, mitochondrial dysfunction, and cytokine polymorphism may partly explain this genetic component. However, no specific polymorphisms have currently been firmly linked to alcoholic liver disease. Malnutrition, particularly vitamin A and E deficiencies, can worsen alcohol-induced liver damage by preventing regeneration of hepatocytes. This is particularly a concern as alcoholics are usually malnourished because of a poor diet, anorexia, and encephalopathy. According to the Ayurvedic system, the disease is caused by imbalances between the three types of physical energy, or doshas. Each of the doshas – vata, pitta and kapha – is present in varying degrees in each of us, though usually one is dominant. Vata is the energy of creativity, intellect and spirituality. In the physical system, it is responsible for circulation and heartbeat. Vata types are physically thin and fine-boned with dry hair and skin. Pitta forces regulate digestion and elimination, including liver function, and pitta types are characterized by sensitive skin and hot tempers. Kapha energy controls growth, moisture and the immune system. Kapha types tend to gain weight easily, have oily skin, abundant hair and calm, loving personalities. 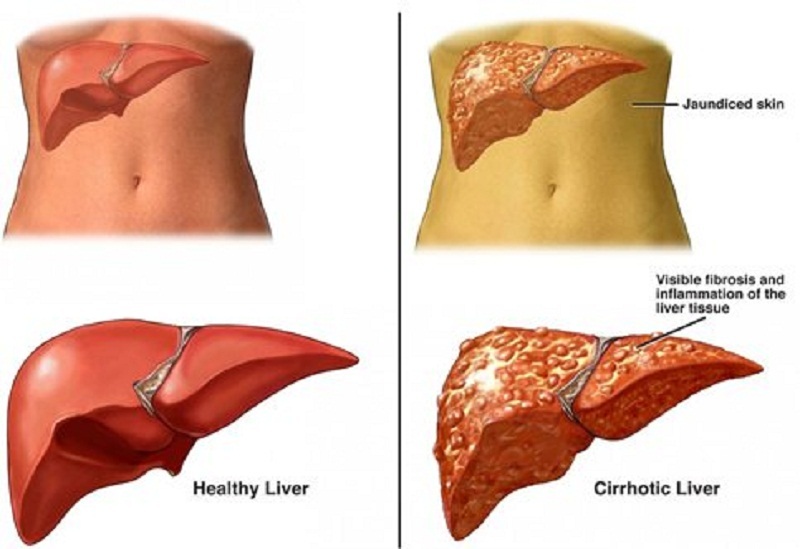 From Ayurvedic perspectives, Liver Cirrhosis reflects extreme aggravation of pitta dosha. Since liver is a seat of pitta, aggravated pitta affects the liver function and later vitiates other doshas as well. Rasa and rakta dhatus are particularly intoxicated while other dhatus too become weak. Almost all functions of pitta such as digestion of food, the complexion of skin, feeling of hunger, production of blood etc get considerably hampered. Thousands are leading a better life after Liver Cirrhosis treatment at Jiva. Avoid refined flour, polished rice (white rice), mustard oil, mustard seeds, asafetida, peas, canned and preserved foods, cakes, pastries, chocolates, alcoholic beverages, and aerated drinks. 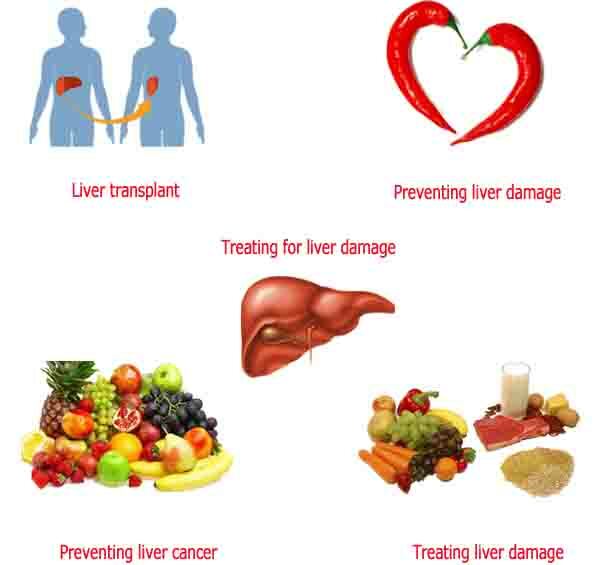 Certain foods have the ability to boost the health of your liver and provide you with detoxifying effects. In general, you should follow a pitta-pacifying diet and increase the number of vegetables and fruits you consume. You should also introduce high-fibre plants such as whole grains and legumes to your diet. Garlic contains sulfur compounds that activate liver enzymes, making it an essential ingredient in any liver friendly diet. Both garlic and onion have been found to have a hepatoprotective effect, making them useful as a non-alcoholic fatty liver disease remedy, but researchers found that they work best when used together. Coffee often gets a bad rap, but several studies have shown that coffee may play a big role in preventing and treating chronic liver diseases. 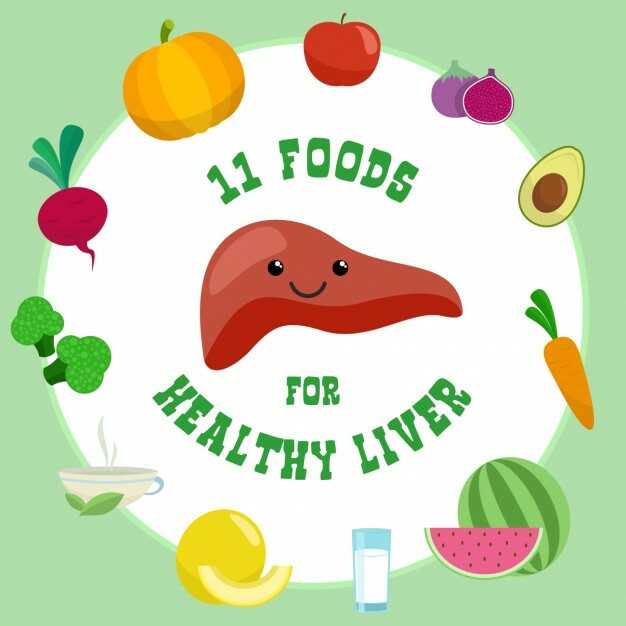 Although researchers are unsure as to how exactly it benefits liver health, they found that it reduces fat buildup and collagen deposition in the liver, thereby protecting against liver damage. Nuts are an excellent source of antioxidants and essential nutrients, including healthy fats, making them a good addition to your diet. Based on some research, it would also appear that nuts can promote healthy levels of liver enzymes. Omega-3 fatty acids found in fatty fish have been shown to slow down the progression of the fatty liver disease through their support of healthy enzyme and blood lipid levels. They also help restrict fat buildups and can fight liver inflammation.